December 2017: BlackBeltHelp, a leading provider of premium quality help desk products and services in the US higher education industry, is elated to announce that Southeast Technical College has selected BlackBeltHelp for after-hours IT Help Desk support. Under this engagement, BlackBeltHelp will provide IT Help Desk services to Southeast Technical College after business hours, and on weekends and holidays. 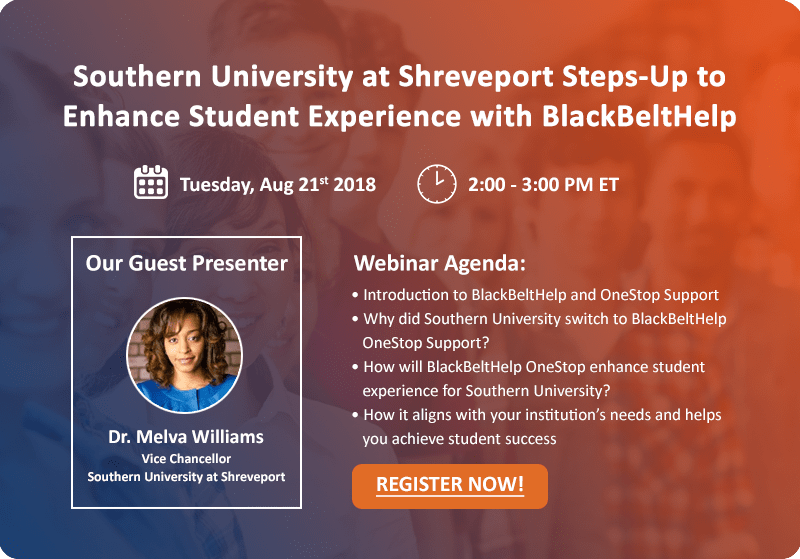 BlackBeltHelp’s after-hours support to Southeast Technical College will help the college achieve their goal of providing round-the-clock assistance to their students. BlackBeltHelp’s proficient customer service agents will tend to college’s end-users’ issues and ensure their timely resolution. BlackBeltHelp, working as an extension of the college’s team, will ensure that someone is always there to address the problems their end-users encounter. Southeast Tech is one of South Dakota's most affordable post-secondary institutions and turns out the third largest higher education graduating class in the state. Southeast Tech has offered the most cost-effective, career relevant education in Sioux Falls for more than 45 years. Southeast Tech offers Associate in Applied Science degrees (AAS) as well as diplomas and certificates.